5) To diffuse scholarly information and create popular interest in American history. Both the Society and the Chapters have contributed their efforts to fulfill CDA’s goals. The following are some of the restorations and historic preservation projects undertaken by The Colonial Dames of America since its founding. The Society exists to live up to its motto, Colere Coloniarum Gloriam, to preserve the ideals of the Colonies. In 1924, the Society purchased the property that was to become the Mt. Vernon Hotel Museum. Originally known as the Abigail Adams Smith House, it is located at 421 East 61st St in New York City. After extensive restoration, it was opened to the public in 1939, timed to coincide with the New York World’s Fair. In 1973, it was restored for the second time and added to the National Register of Historic Places. 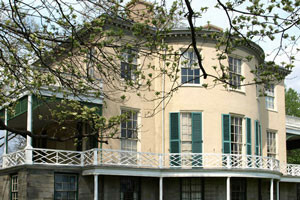 It is one of the few 18th century buildings remaining on the island of Manhattan. The museum has beenaccredited by the AAM (American Alliance of Museums) since 1983. 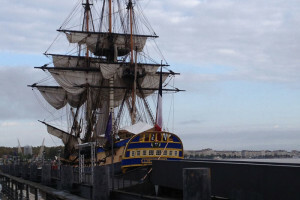 L’Hermione is a full-sized replica of General Lafayette’s ship, also known as the Frigate of Liberty. Chapter IV – Paris was a major sponsor of this 21st century effort. 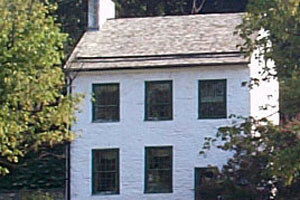 This historic house was built in 1799 on the former estate of Robert Morris, a signer of the Declaration of Independence. 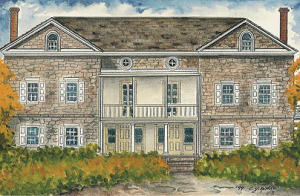 From 1957-2016, Chapter II – Philadelphia worked to increase awareness of this unique and nationally important Federal-style mansion and to educate visitors of all ages about our nation’s heritage, particularly during the period between 1800 – 1836 in Philadelphia. Abner Cloud House, Washington, DC, the oldest existing structure on the Chesapeake & Ohio Canal, is maintained by Chapter III – Washington, DC. 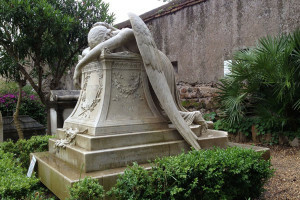 Chapter X – Rome researches the Americans buried between 1716 and the present at the Non-Catholic Cemetery (Old Protestant Burying Ground), Rome, Italy. 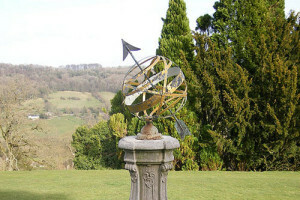 The Mount Vernon Garden, which is part of the American Museum in Bath, commemorates George Washington. 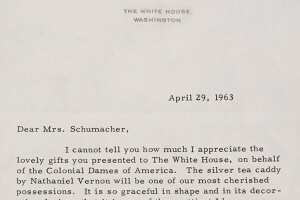 It was presented by CDA in 1962. In the 21st century, Chapter XI – London provided updates on the signage. In 1962, The Colonial Dames of America contributed three glass chandeliers (1810) and eight smoke bell lanterns (Regency) which had hung in the Governor’s Palace in Calcutta. These were placed in the hall adjacent to the Diplomatic Reception Room. Chapter III – Washington, DC purchased the George Wythe House as part of early efforts to create Historic Williamsburg in the late 1920s. 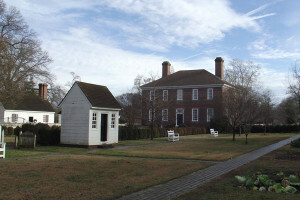 CDA paid close to $10,000 of the total $15,000 cost of the building before it was turned over to the Restoration project for Williamsburg in the early 1930s. 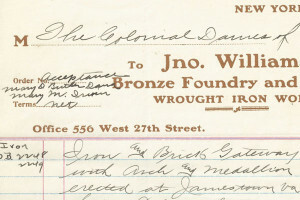 This ornately designed iron gate, built by John Williams of New York, was presented to Jamestown by The Colonial Dames of America and its various chapters in 1907. 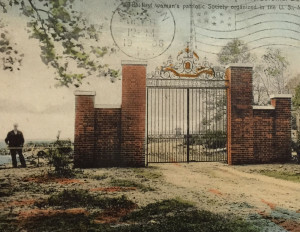 The gates were restored several decades later by Chapter XXIII-Virginia; the CDA is working with Jamestown to restore the gates to optimum condition in 2019. 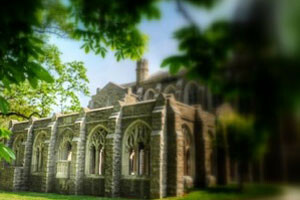 CDA contributed the Washington Chapel, the open air “Woodlands Pulpit,” and the New York Archway-Bay in historic Valley Forge, PA. The “Commander-in-Chief” door to the cloister of the Memorial Chapel was placed by Chapter II – Philadelphia. An Italian lace chalice veil was given by Chapter IV – Paris.